Reflective Unity is an exploration to bridge visual and haptic stimuli to encourage immersion into relaxation and meditation. 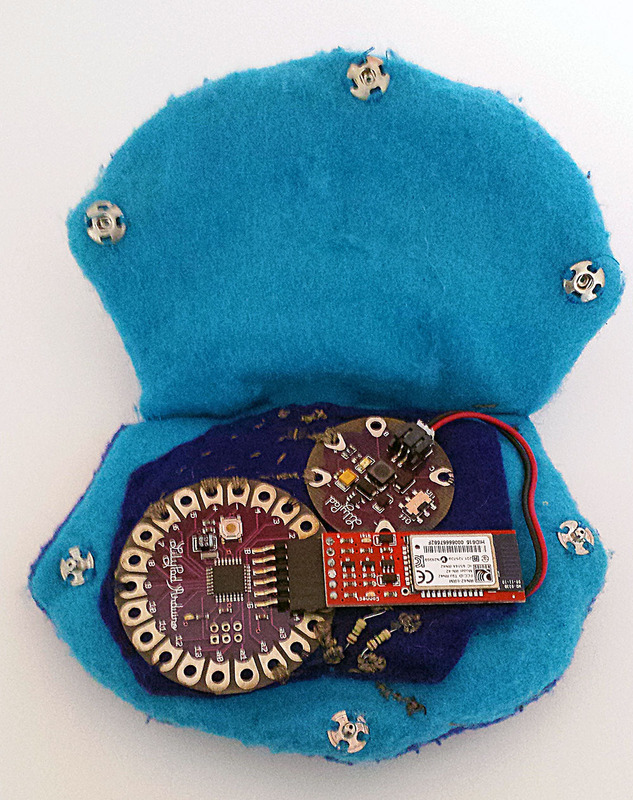 This piece incorporates an Android application and a hand pillow that communicate to each other through a Bluetooth connection. The Android application produces mathematically inspired generative art – a kaleidoscopic flocking system – and corresponding haptic variables to control rhythmic breath-like pulses of the hand pillow. 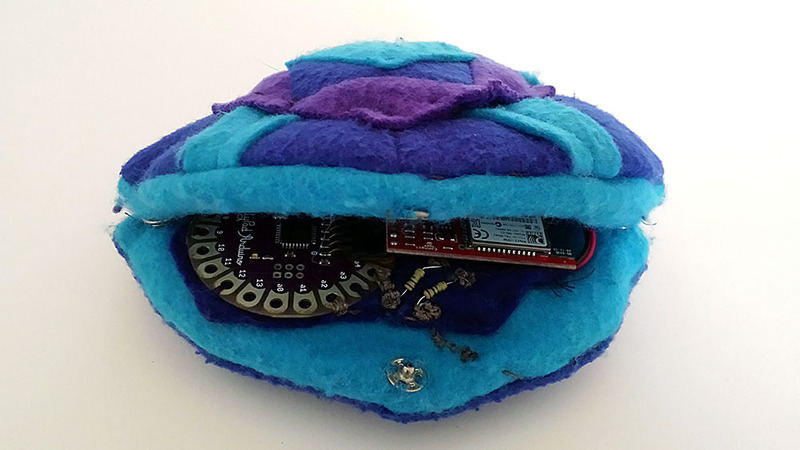 In turn, the haptic pillow incorporates a pressure sensor. The speed of the system is dependent on how the user holds the pillow. 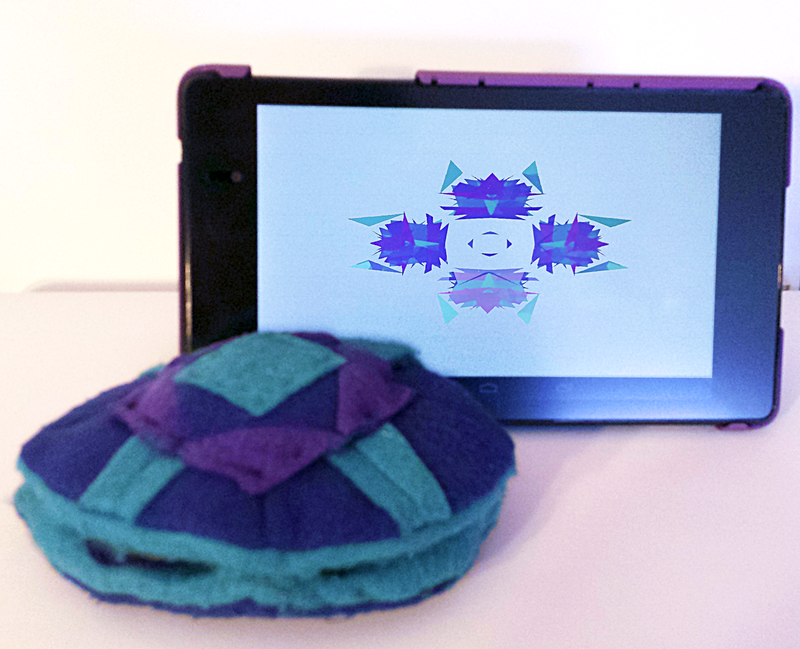 Reflective Unity – Processing Android application with haptic handheld pillow. 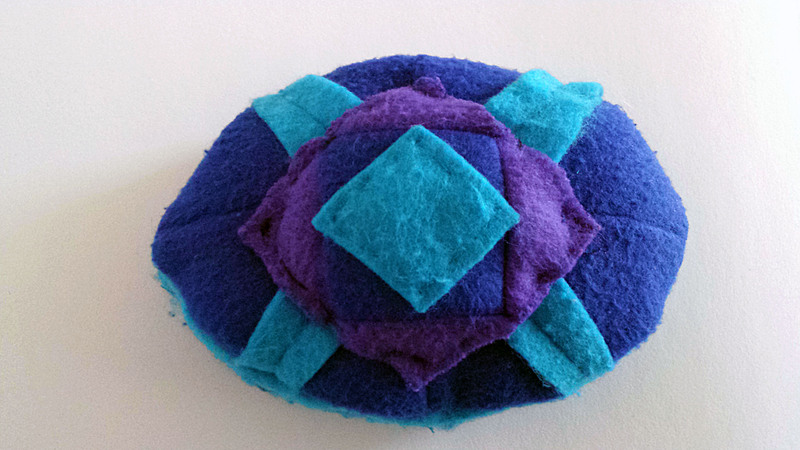 Top view of haptic pillow. LilyPad Vibe Board and FlexiForce sensor hidden underneath decorative diamond pads. 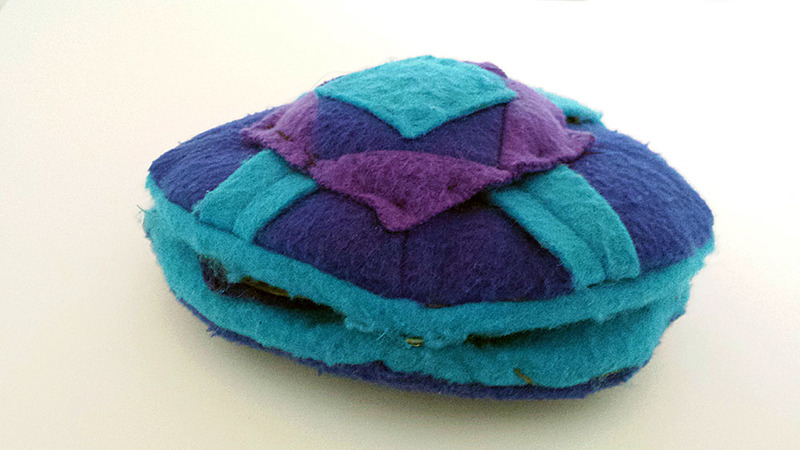 Alternate view of haptic pillow. Snap closure for circuit access.